The origin of the typical dried meat is lied to the necessity, that people had to store food for long durations. In Valais pieces of meat would be hung up in a warehouse or attic to be air-dried. This traditional preparation from the 14th century is still used nowadays and gives the meat its delicious flavour. Slice the meat, sausage and cheese and prepare it on a small wooden board or a plate. Garnish the plate with gherkins, spring onions and quarters of tomatoes. Serve the Valais platter with Valais rye bread AOP and butter. 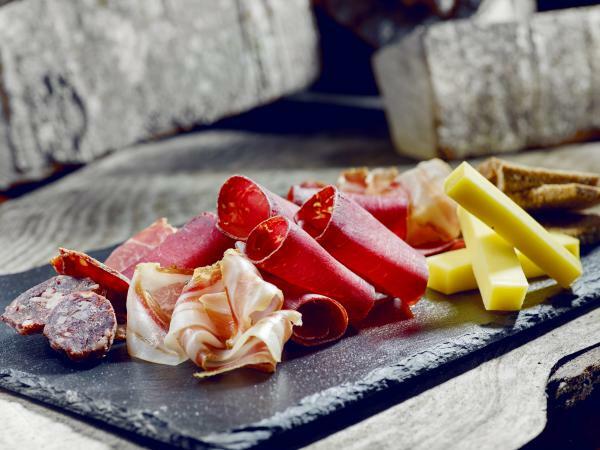 Suggestion: The Valais platter can be enjoyed as a main course, a delicious starter, a convivial snack or as an accompaniment during the aperitif.